Walking your dog is a nightmare. Your dog is normally well-behaved but every time he sees another dog he has a little fit- he shrieks, barks, lunges and acts like he wants to kill the other dog. You have to physically drag him away apologizing as you go. Nothing you've tried has worked. Most people think dogs who act this way are being aggressive or dominant. After all, the dog certainly looks and sounds aggressive, barking and lunging at the other dog. Since the dog is being aggressive, the obvious thing to do is to punish the dog to try to stop him from acting that way. Most dog owners try punishment first. They yell, they yank, they shake the dog, they pin the dog to the ground. Nothing works, the dog just keeps on "being aggressive." In actual fact, this is a fairly common dog behavior problem called "leash reactivity." And it has nothing to do with dominance or aggression, despite the appearance. No, this behavior is actually caused by fear and anxiety. In a classic case, the dog sees another dog. The dog is frightened and anxious. He's trapped on his leash. All he can do is scare the other dog away- which is what he tries to do. If you let go of the leash on one of these dogs, even while the dog is lunging and barking, the dog usually immediately shut ups and runs off in the other direction or tries to hide. Truly aggressive dogs don't bark at other dogs. Aggressive dogs tend to growl softly, freeze and stare at their target. In some cases, the owner of the leash reactive dog is aware of an incident that frightened the dog- another dog attacked the dog, perhaps. In other cases, the owner doesn't know what caused the problem. A significant number of these dogs are smaller dogs, which have greater reason to be frightened of other dogs. Some leash-reactive dogs have clearly been under-socialized to other dogs as puppies. Others seem to be fearful and timid by nature. In many cases the cause of the dog's fear is a mystery. The most important thing to do with a leash-reactive dog is to stop punishing it for its behavior. The dog is frightened and anxious, and having its owner attack it in the name of punishment makes the whole situation worse. In fact, we have observed dogs with mild leash-reactivity get much, much worse after being punished by a "trainer" who was trying to correct the "aggression" with strong-arm tactics. If you walk your dog on a prong collar, put it away for now because every time the dog lunges at the other dog, he is experiencing discomfort from the prong collar that just further convinces your dog he has a reason to be afraid of other dogs. The other thing to not do is try to soothe and sympathize with the dog. The dog is frightened, yes, but if you coo at and soothe the dog and act happy towards the dog you are telling the dog you approve of his behavior. If an incident erupts, pretend you are calm and confident. Ignore the dog's behavior and stride off confidently. You're trying to communicate to the dog there is nothing to be afraid of here, move on. The classic way to cure a dog's fear problem is called "classical conditioning." The goal of classical conditioning is to change the dog's underlying emotions about a trigger. Here the trigger is the sight of another dog. The basic procedure for classical conditioning is to expose the dog to the trigger sub-threshold. Sub-threshold means you are far enough away that your dog is aware of the other dog, but you're so far away that your dog isn't concerned yet. At this sub-threshold distance you make the dog feel happy. The easiest way to make a dog feel happy is to feed him little tidbits, or play silly games, or pet and praise. You decide what makes your dog feel happy. Once the dog is happy about the trigger way off in the distance, you move slightly closer and repeat. And again, closer and repeat. It is vitally important that at all times during the conditioning process that the dog be kept at a sub-threshold distance. Classical conditioning works really well. In theory. In the real world it doesn't work that well. It is very hard to keep your dog at sub-threshold. You'll be doing really well, and then suddenly a dog will come around the corner and be right in your dog's face, over threshold, and your dog will have a meltdown. And then you'll have to start over again from the beginning. It also takes weeks to complete a classical conditioning program, and let's face it, most dog owners just don't have the time. They barely have enough time to take the dog for a short walk each day and now they have to spend hours every day making the dog happy instead? Most dog owners get impatient and try to speed up the progress by moving the dog too close to the other dog, too fast. As soon as the dog goes over threshold, that's it, the process needs to be re-started. So although classical conditioning works, and works really well, in actual practice it tends to fail. 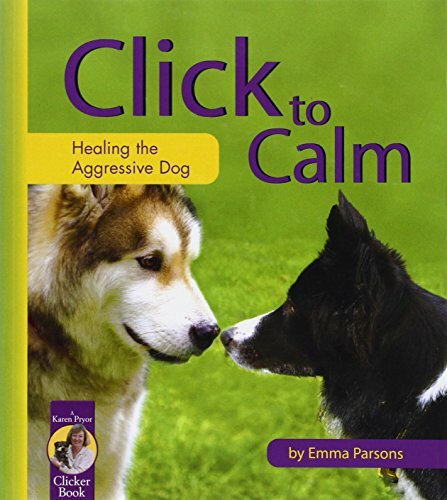 You can learn about the practice and try to use parts of it to help your dog. For example, if you do find yourself in a situation where your dog is sub-threshold but aware of another dog you can certainly make an effort to make your dog happy and it might help. 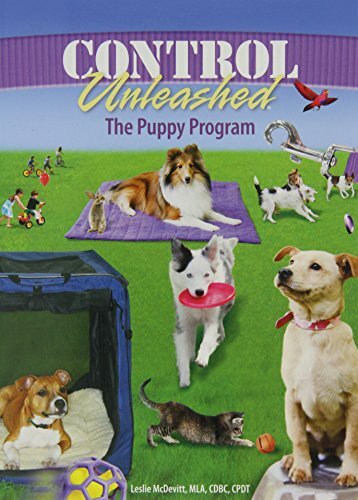 Operant conditioning means to change the dog's behavioral response to a trigger. In the classical conditioning approach we want to change how the dog feels. In the operant conditioning approach, we just change how the dog acts. His feelings might change, too, but we aren't concerned with that. 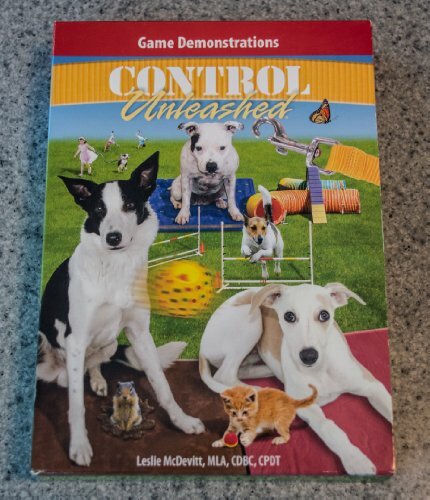 One very successful way that many pet owners have been using operant conditioning to fix their leash-reactive dog's behavior is to apply the Control Unleashed program to their dog. In particular, they teach the dog one of the games called "look at that." In the "look at that" game the dog is taught to glance at his "trigger" (another dog) and then look back at his owner for a reward. It sounds remarkably simple, but an astonishing number of dogs have stopped barking, lunging and carrying on in favor of looking at the other dog and then looking back at the owner. The dog has been given a new piece of behavior to do in response to the trigger. Many people are skeptical when they hear about this game. One way to think about it is let's say you're not very fond of spiders. In fact, you're downright terrified of them. But then your friend offers to pay you $100 every time you see a spider and point it out to her. Of course you're still terrified of the spiders as you spot them and point them out to your friend, but as she hands you the cash you start to realize that a) you're getting a lot of cash, and b) you don't actually have to do anything scary to earn this cash. It's not like you're having to pick up the spiders or something icky like that, all you have to do is see them and point them out. That's easy! If you have a reactive dog, it's best to seek help with an experienced control unleashed trainer, or attend a control unleashed class and go through the full program. We are just going to briefly go through the steps of teaching the "look at that" game to help get you started. You'll need a clicker, some small, soft treats your dog loves, and the dog on a leash. Find a place where the dog can see dogs without going over threshold (see the section on classical conditioning about thresholds). As a dog appears, your dog will look at the dog. Call your dog's name and when the your dog turns back to look at you, click and feed the dog a treat. Repeat this three or four times. Then the next time the dog sees another dog, don't call your dog's name, just wait. Most likely the dog will look at the other dog and then look back at you. Click and treat. Once the dog has the idea, it's important to not use a cue or command word to induce the dog to look back at you- the dog does it of his own accord. You can say "look at that" if you want to when the dog looks at the other dog, although it's not necessary. Now that the dog has the basics down, you just need to practice. Stay below threshold at first. Once your dog seems to have firmly grasped the idea, discard the staying under threshold concept and just practice in the real world. Many dogs get really excited about this game and will seek out dogs to look at in order to get their treat by turning away and looking back at their owner. The "look at that" game can also be used with other triggers, such as squirrels or any other trigger that your dog finds very exciting. The game automatically re-directs the dog's behavior from the trigger back onto his owner. Now that's a useful piece of behavior. It is all in the training like you say. But sadly many owners do not train their dogs. I took ours to obedience training and I was the one being told off for not having the right tone of voice. Yes that is another important part of training your dog. He/she needs to know he has done the right thing by us using a happy voice and being praised when he does it. Our dog is old now and often thinks he is the boss and has forgotten some of his training or maybe just like a naughty school kid he wants to do his own thing. Helpful article.